UPDATE 7:40 p.m. Roadway is closed. 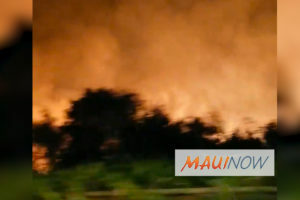 There is a brush fire on the makai side of Hana Hwy. between Haʻikū Rd and Pauwela Rd. Maui Police Department and the Maui Fire Department are on scene. Contraflow traffic on the road.